Seoul is a fantastic city with great food–but its a tough place to be vegetarian or vegan. Luckily, there are a few choices. 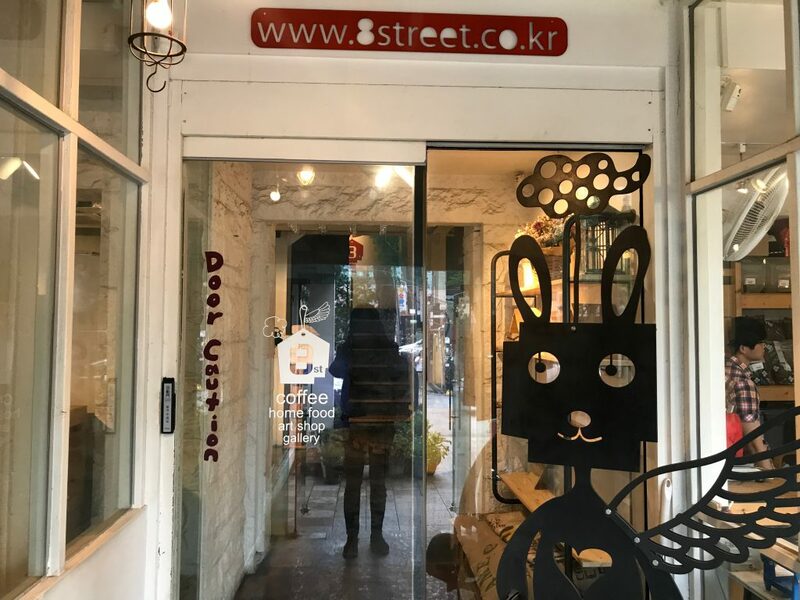 Among these is Plant, a small, independent, vegan restaurant and bakery located in Itaewon. With a slightly difficult to find location–located in an alleyway down a hill, it might be easiest to call and ask for directions. Their menu changes frequently, so the dishes I am writing about may no longer be available when you read this. Nonetheless, no culinary visit to Seoul is complete without a stop here. This is their burrito bowl, which was very good. With fresh avocado, chips, and a great sauce which was flavorful but not too spicy, this was a treat. Especially in a city filled with Korean food, getting something with a lot of kick, but without Korean flavors, was refreshing. Tempeh wrap, which was super fantastic. I don’t use “super fantastic” frequently, but this was really high quality. I was amazed that a vegan wrap could taste so good–and I’m a lifelong vegetarian. A few carnivore friends came with me to Plant, and before we walked in, they were joking about needing to get some Korean barbeque after the restaurant since a vegan meal would be insufficient. These jokes stopped once they had some of this wrap. We all (including the meat eaters) liked plant so much that we came back a second time. Even if you are not vegan, you should go. Plant is sort of hard to find, but they recently created this handy map to help you locate it. This video is also helpful. Plant is a true gem. Each dish is lovingly made by a small, dedicated, and passionate staff which truly cares about providing healthy vegan choices. The next time you stop in Seoul, be sure to stop by. Click here to subscribe to the Take Risks Be Happy newsletter, with a weekly dose of the best content for creatives, artists, and entrepreneurs.